Staging in Jacksonville, Orange Park, Fernandina, St. Augustine is more critical than ever! Homes that aren’t staged are not selling or worse…they are hammered on price to desperately find a buyer. There is no need to lower your price when staging is the option! Home Staging is the preparation of a home to sell by a trained professional who specializes in understanding the buyer demographic and preparing homes to sell. 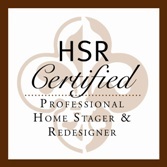 Many definitions you have seen no doubt stop after the word “sell” and that is part of the big misconception and devaluation of home staging. Some Realtors and home sellers will say that they have already “staged” their homes only to find that they will be lowering their price within the month. There is a vast difference between a home that was simply de-cluttered and cleaned and one that was professionally staged! Creating the “model home” look is not easily achieved without the help of someone who does this everyday for a living.